You know you're supposed to hold events. It will bring more traffic to your store. It will help you stand out from your competition. Why wouldn't you? The likelihood is that you either have no idea where to get started or no time to sit down and actually plan the whole thing. After all, there's a lot that goes into hosting a successful pet event (as you'll see)! We get it - there's a lot involved when it comes to planning a great pet event. Not only do you need to configure the logistics of the thing, but you also need to get people to actually show up and have a good time. That's not always easy! Believe it or not, planning an amazing pet event isn't as scary or time-consuming as it sounds. Plus, as previously mentioned, it's a great way to bring your community together and stand out from the competition. I mean, e-commerce shops can't hold a pet paw-ty, can they? Take back your customer's attention - and dollars - and get them back in your store. Let's walk through everything you need to get started with hosting a successful pet event. 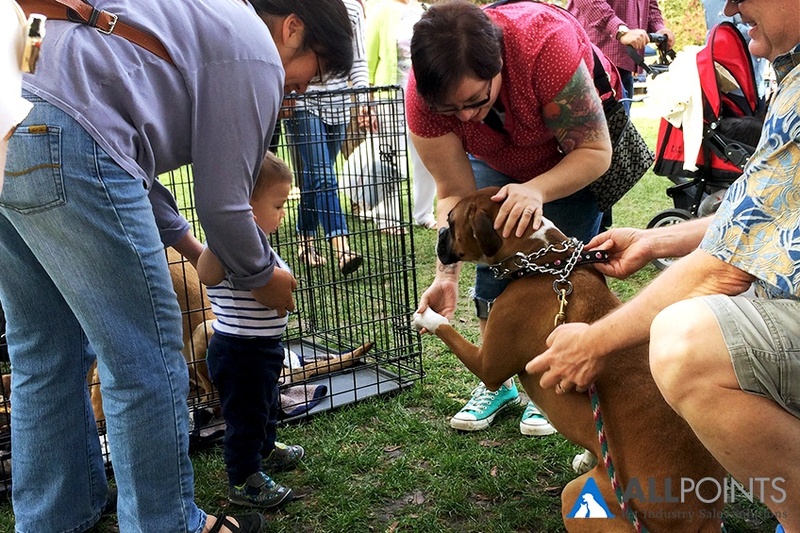 Planning a successful pet event takes time and energy to do correctly. Customers are always able to tell when an event was just thrown together in a week and thrown up on Facebook with the hopes of hundreds of people attending. For some, everything that goes into planning an event can seem overwhelming, stressful, and just plain not worth it. However, if you break it up into a longer timeline and give yourself plenty of time to complete tasks, even just a little bit of work every week can result in a wonderful event. The first tip to planning a pet event is to give yourself at least three to four months to properly plan for and promote it. This way, you have plenty of time to make sure everything is prepared for, without rushing through the process. It's important to set deadlines and reminders to keep yourself on track. Otherwise, it will become way too easy to leave everything until the last minute which defeats the whole purpose of planning ahead! One of the most important stages of planning is figuring out the logistics of the event. This includes deciding upon location, time, date, parking, posters and signage, invitations, vendor participation, raffles and prizes, food and drinks, budget, and anything else that may make your event more appealing to your community. Once your goal is set, you want to identify a method to measure that goal. For example, if raising $1,000 for a cause is your goal, how will you know how much money you've raised? If you're hoping for 100 guests, how will you know how many people ended up showing up? While you're going through the planning process for your event, keep your outlined goal at the top of your mind. Now consider what elements will make your event more successful and leave attendees with a positive experience of both the event and your business. Since it's a pet event, one key to success is making sure there is plenty of engagement with the stars of the show - the pets. Plan out games and activities that will allow your guests to interact with their pets and keep everyone entertained. You may also want to consider providing food at the event. Depending on what time it is and the style of this event, this could mean anything from a few bags of chips and salsa to a catered meal for your guests. If you're not sure how much food you'll need, check the RSVP list and plan on about three to four appetizer pieces per guest, plus a few extra snacks. Although the phrase "snacks provided" is sure to bring more people through your event, this is often not enough to make for a successful attendance. You want to give attendees a reason to come - and tailor that reason to your goal. Ask yourself: what will guests get out of coming to the event? You could offer anything from a free pouch of treats (sponsored by a vendor), a free illustration of their pet, or even a coupon for 25% off their next purchase. This way, you're more likely to get people out of their lazy pants and showing up to your event on a Tuesday night. If you truly want to stand out, come up with a unique event. Pet adoption events are great, but they're also being done by everyone. How can you set yourself apart from your competition down the street? Anyone who's planned an event before knows that planning is just half the battle. Promoting your pet event is an entirely different ballgame altogether. Doing it correctly can be the difference between your event being a flop and having it be a complete game-changer for your business. As soon as you finalize the basic details (date, time, location), create an event on Facebook and start inviting people. Share the event on all social platforms that you're present on such as Twitter, Instagram, and Facebook. If you have an email list, create and send an invitation to your list inviting them to an exclusive event. Consider offering your email list an extra bonus for attending (they are subscribed to your list, after all!). Don't forget to utilize your store and the people who shop in it every day! Create signage - or contract a local graphic designer, depending on your budget - and put it up in your store windows. You can also create personal invitations and mail or hand them to your top customers. If you want to go a little bit bigger, write a press release and send it to local blogs and news outlets - the more local and community-specific, the better. Depending on your budget, you may also consider using Facebook ads to push your event to your local community. Partner with local vendors and/or businesses who might be interested in sponsoring or helping to promote your event. For example, the local coffee shop may let you hang a poster whereas a dog groomer may be interested in sponsoring the event. You've planned the entire event, promoted it everywhere you can think of, and now the day has finally arrived! Throughout the event, there are certain steps you can take to make sure you don't become overwhelmed and forget about why you're hosting this in the first place. First of all, make sure you have staff help with running the event. They can be in charge of tasks such as keeping an eye on the food/drinks, chatting with attendees, taking photos, engaging with pets, providing information, etc. While you're at the event, make sure your goal and your attendees' happiness at the event are your priorities. Track your goal effectively so that, once the event is over, you can go back and determine whether the event was a success and where there were specific challenges. Encourage your guests to take photos and use a event-specific hashtag (i.e. #PetStoreEvent) when they post them on social media. During the event, have one of your staff members - or you - go live on Facebook Live or Instagram Live for a few minutes. There's nothing like giving your audience a little bit of FOMO (fear of missing out) to make them come to the next event. Remember to make sure there's plenty to do for both pets and pet owners - you don't want anyone sitting around - or they won't stay around for long!